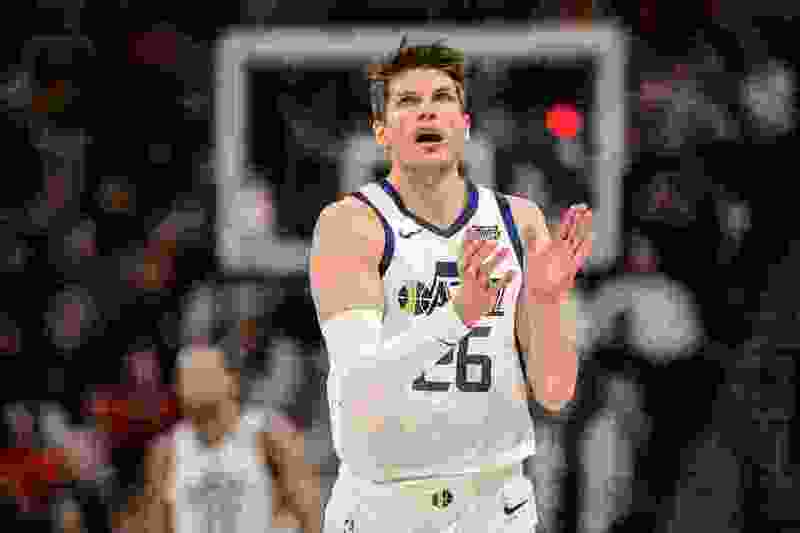 (Trent Nelson | The Salt Lake Tribune) Utah Jazz guard Kyle Korver (26) as the Utah Jazz host the Phoenix Suns, NBA basketball in Salt Lake City on Monday March 25, 2019. In the April 14 Salt Lake Tribune, both Leonard Pitts and George Pyle called attention to Kyle Korver’s evocative essay, “Privileged,” published April 8 in The Players Tribune. He eloquently describes his perspective as a white player in a league that is over 75% players of color. His given privilege of just being white offers him the possibility of “opting in” or choosing to remain silent on issues of racial tension, while his black teammates cannot “opt out” of those contentious discussions. He clarifies that while he is not accepting the personal guilt and shame for our country’s history of slavery and its aftermath of racial injustice, he does bravely accept responsibility for the continuing inequities. Responsibility (the ability to respond) implies a duty to react, to take positive action, in the face of injustice. As an old white male, I have long been the beneficiary of privilege. I was freely given unconditional love of middle-class parents, access to educational and vocational possibilities, and access to power. None of those privileges were earned by me, but they come with an obligation to repay by working to improve myself and my community. Part of my responsibility is to call out both subtle and overt bigotry, to educate, and to actively demonstrate acceptance, compassion, humility and equality. Mr. Korver, thank you for the reminder. Letter: Is faith based on hate or love?